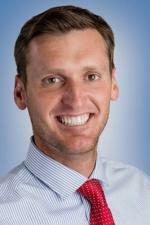 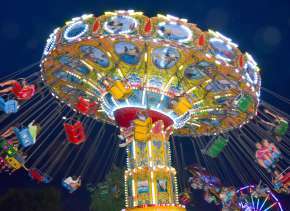 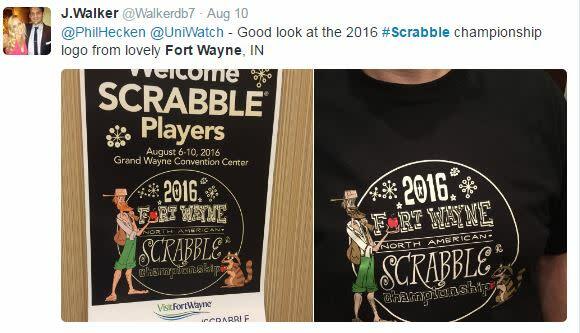 Posted on August 18, 2016 at 2:00:00 pm by John F.
Summer is always a busy month for meetings, conventions and sports tournaments in Fort Wayne. 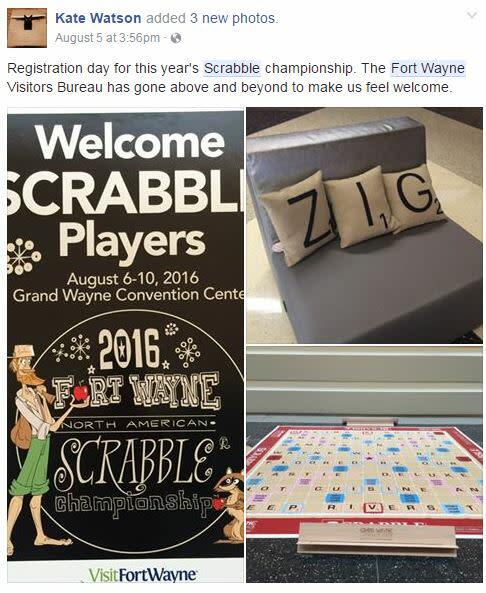 Many national, regional and state groups choose to host their annual event in Fort Wayne due to its easy accessibility, affordability, premier venues, and famous Hoosier hospitality. 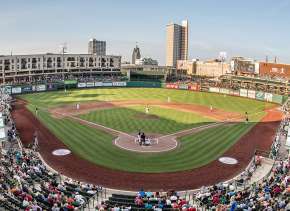 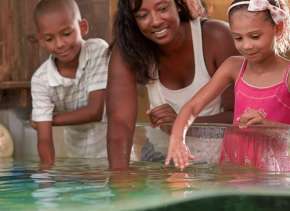 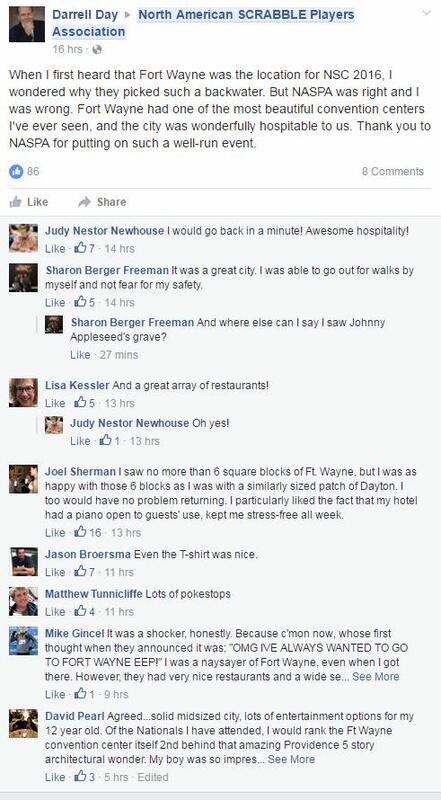 Fort Wayne offers all the big city amenities without the big city price tag - and the reasons go on. 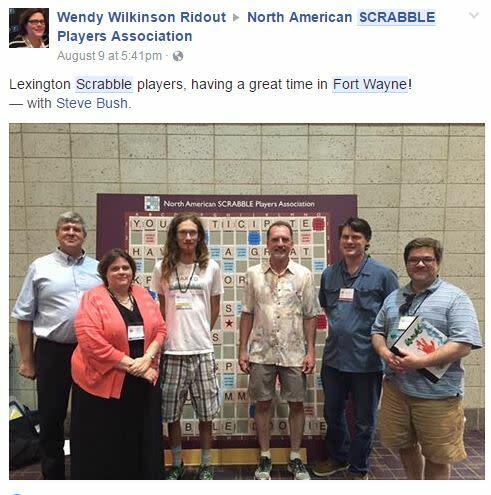 Recently, four national groups hosted their annual events in Fort Wayne, including the 2016 North American SCRABBLE Championships (August 6-10). 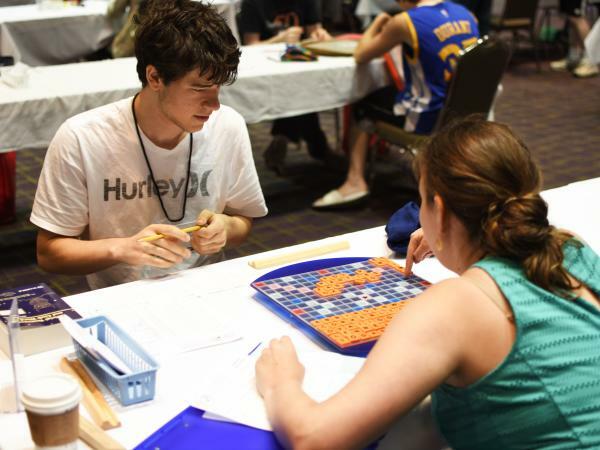 The five-day championship welcomed the best SCRABBLE players from across the United States, Canada and Mexico, and international players from 11 different countries. 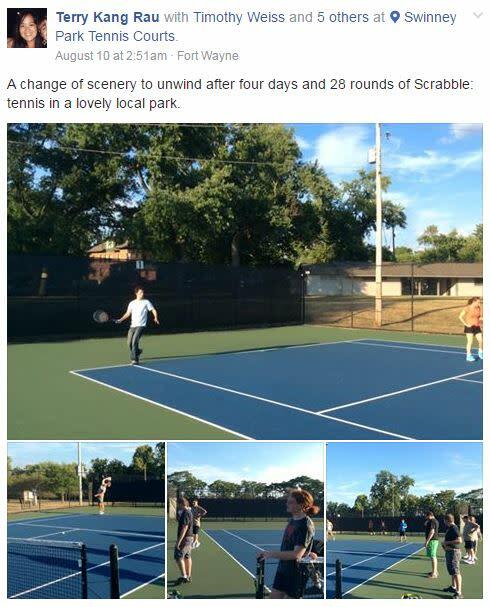 Thanks to this collective effort, NASC players and guests took to Facebook, Twitter and Instagram to post their thoughts about our city (see below). 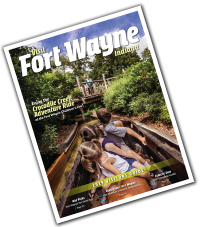 Additionally, NASC Director Dallas Johnson shared his impressions in a letter to Visit Fort Wayne, which you can read here. 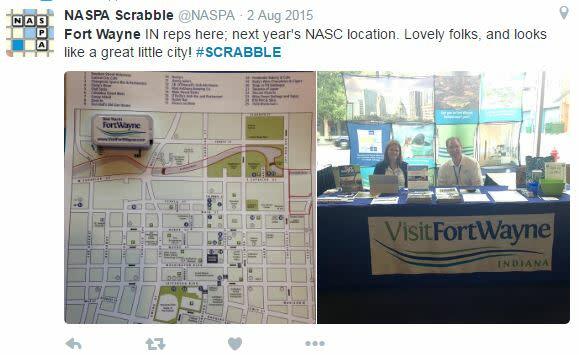 As a meeting planner, are you looking for a destination that will provide your attendees a Tweet-Worthy experience? 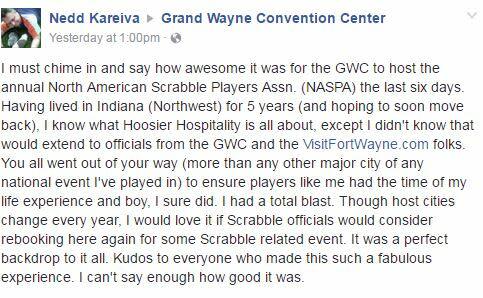 Contact Visit Fort Wayne to learn how we can help make your event the best it has ever been.